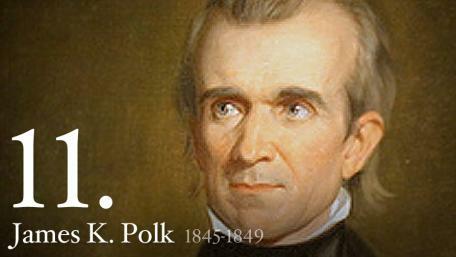 Election of 1844 and threw his support toward James K. Polk. As such, he never officially ran for President. 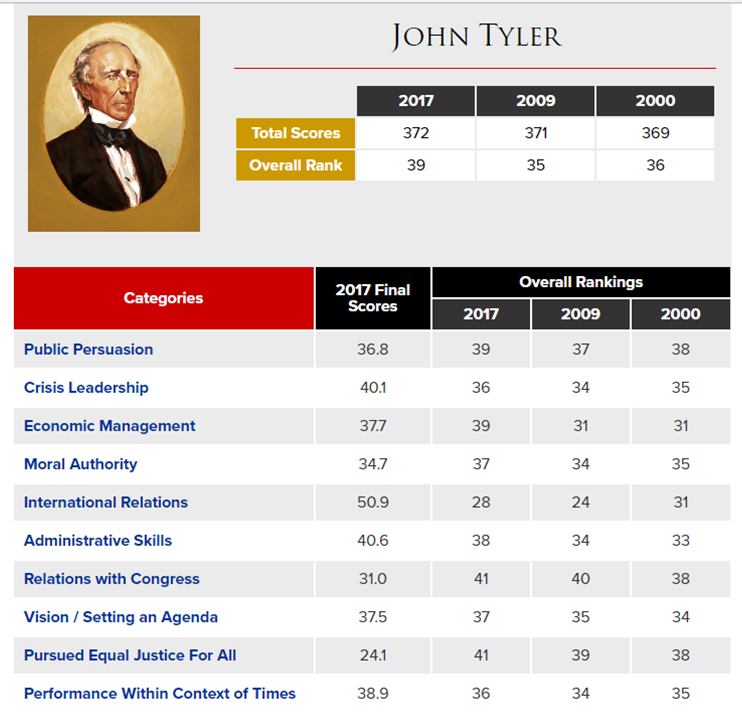 Click on the banner above to go to the John Tyler homepage at the University of Virginia's Miller Center. Click on the buttons below for in-depth information about Tyler's Presidency. Tyler was the first President to have a wife die while in office. Letitia died in 1842 at the age of 51, making her the youngest First Lady to die. (I'm thinking the eight children he had with her probably didn't do wonders for her health...) Presidents Benjamin Harrison and Woodrow Wilson would later have wives pass away while in office. The tradition of playing the song "Hail to the Chief" whenever a President appears at state functions was started by Tyler's second wife, Julia. Tyler was the first Vice President to assume office after the death of a President. 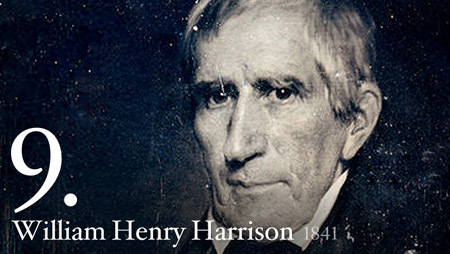 He took over after William Henry Harrison died 30 days after becoming President. As a result of not winning an election, many Congressmen thought Tyler was only "acting" as President and did not want him to move into the White House. Tyler was disowned by his own political party, the Whigs, who were mad at him after he vetoed a series of banking bills. How mad were they? In January 1843, the Whigs introduced impeachment resolutions in the House of Representatives, but the measure was defeated. 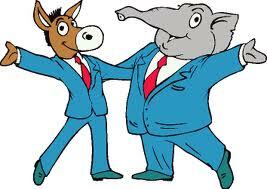 After that, Tyler governed without being a member of any political party. Tyler was a grand-uncle of future President Harry S. Truman. Tyler retired to a plantation in Virginia that he named "Sherwood Forest", a reference to the folk legend Robin Hood... and to signify that he had been "outlawed" by the Whig Party. Tyler had a total of 15 children with his two wives. Tyler's oldest child was born in 1815, while his youngest was born in 1860... when he was 70. Early in his Presidency, Tyler was accused of fathering (and selling!) several sons with his slaves. This prompted a response from the Tyler Administration that the story was false. (Gee, good come back...) However, a number of African-American families today have an oral tradition of descent from Tyler, but evidence of such a link has never surfaced. Tyler has two living grandsons through his son, Lyon Gardiner Tyler. Lyon Gardiner Tyler, Jr., was born in 1924, and Harrison Ruffin Tyler was born in 1928. In fact, Tyler is the oldest former President with living grandchildren, and none of the succeeding Presidents had living grandchildren until James A. Garfield, who served 40 years after Tyler, with Abraham Lincoln and lifelong bachelor James Buchanan each having no living descendants of any kind. Tyler was an excellent violinist and loved to dance. He had a ballroom in his house where he would perform. A supporter of states' rights... and a slave owner... Tyler supported (and urged for) Virginia's secession from the Union. After the Civil War began, Tyler was elected to the House of Representatives of the Confederate Congress (but died before he could take office). Tyler's death was the only one in Presidential History not to be officially recognized in Washington, D.C. because of his allegiance to the Confederacy. He had requested a simple burial, but Confederate President Jefferson Davis delivered a grand funeral, painting Tyler as a hero to the Confederacy. Accordingly, the coffin of the 10th President of the United States was draped at the funeral... with a Confederate flag. Because he supported the Confederacy and died in Virginia during the Civil War, Tyler is the only U.S. President to die on foreign soil. 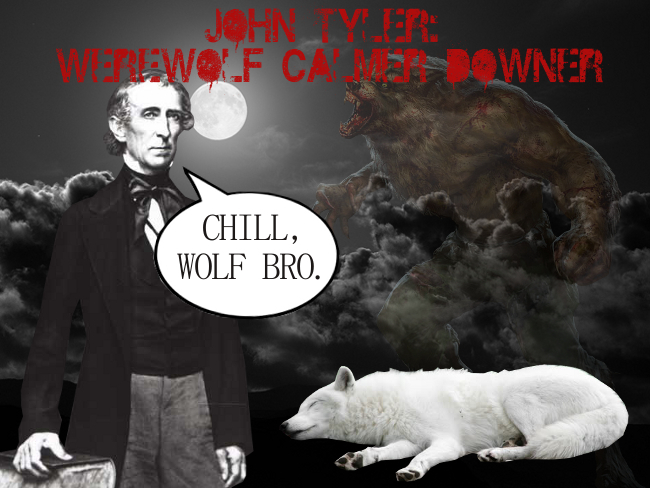 President Tyler liked everything about "Twilight".